PDX shuttle airport now Dayton is a city in Yamhill County, Oregon, United States. The population was 2,534 at the 2010 census. The city was founded in 1850 by Andrew Smith and Joel Palmer. Palmer, who also served as superintendent of Indian affairs for Oregon, built a flour mill there. Dayton was named for Smith’s hometown, Dayton, Ohio. Dayton post office was opened in 1851, with Christopher Taylor serving as postmaster. There are many historic landmarks throughout the city that you can access them by PDX shuttle airport from airport. The oldest standing structure is the Joel Palmer House, built in 1852 or 1857. It has been on the National Register of Historic Places since March 16, 1987, and has been painstakingly restored. Since 1996 it has been home to a four-star restaurant of the same name as the historic house. Nearby, in Courthouse Square Park, is the Fort Yamhill Block House, which was brought to Dayton in 1911 to prevent its demolition. The structure had been built by Willamette Valley settlers on Fort Hill in the Grand Ronde Valley in 1855 and 1856. John G. Lewis, a citizen of Dayton, secured permission from authorities to move the logs to Dayton, where they were reassembled. 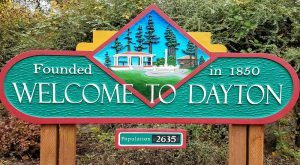 The City of Dayton is located in the heart of the beautiful Willamette Valley. 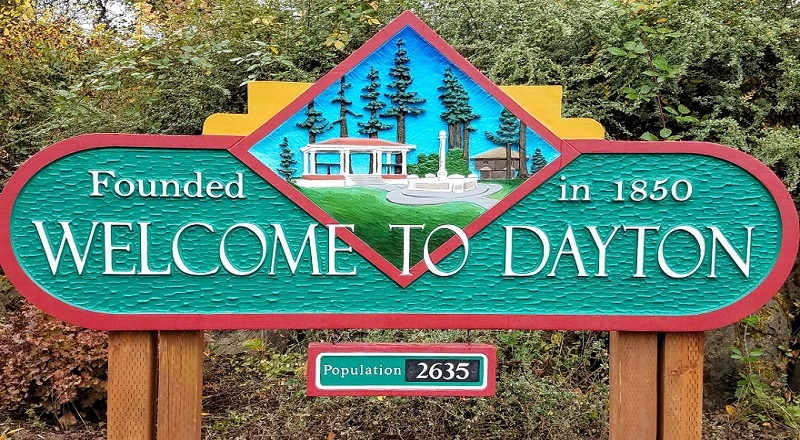 It is situated just off Hwy 18 between McMinnville and Newberg and is centrally located 55 miles from the Pacific Ocean, 24 miles from the State Capital and 60 miles from Mt Hood that covered by PDX shuttle airport. Rich in history, Dayton was founded in 1850 by General Joel Palmer and Andrew Smith. Incorporated in 1880, the history of Dayton dates back to Oregon’s beginning. The current population is 2635. PDX shuttle airport find Dayton was the first city in the State of Oregon to be designated as a national historic resource. The numerous homes and buildings on the National Historic Register are easily viewed on a walking tour within the city. For walking tour brochures contact the City of Dayton at (503) 864-2221 or stop by City Hall at 416 Ferry Street, Dayton Oregon, Monday thru Friday from 9:00 am to 5:00 pm. As of the census of 2010, there were 2,534 people, 797 households, and 624 families residing in the city. The population density was 3,016.7 inhabitants per square mile (1,164.8/km2). There were 843 housing units at an average density of 1,003.6 per square mile (387.5/km2) these are reason that PDX shuttle airport cover Dayton. The racial makeup of the city was 79.2% White, 0.5% African American, 1.0% Native American, 0.9% Asian, 14.7% from other races, and 3.7% from two or more races. Hispanic or Latino of any race were 29.9% of the population. There were 797 households of which 48.6% had children under the age of 18 living with them, 58.8% were married couples living together, 14.1% had a female householder with no husband present, 5.4% had a male householder with no wife present, and 21.7% were non-families. 15.8% of all households were made up of individuals and 6.2% had someone living alone who was 65 years of age or older. The average household size was 3.18 and the average family size was 3.52. The median age in the city was 32.8 years. 32.6% of residents were under the age of 18; 7.8% were between the ages of 18 and 24; 26.6% were from 25 to 44; 22.9% were from 45 to 64; and 10.1% were 65 years of age or older. The gender makeup of the city was 49.6% male and 50.4% female. As of the census of 2000, there were 2,119 people, 641 households, and 516 families residing in the city. The population density was 2,935.4 people per square mile (1,136.3/km²). There were 656 housing units at an average density of 908.7 per square mile (351.8/km²). The racial makeup of the city was 80.70% White, 1.56% African American, 1.18% Native American, 0.52% Asian, 11.80% from other races, and 4.25% from two or more races. Hispanic or Latino of any race were 26.19% of the population. There were 641 households out of which 49.6% had children under the age of 18 living with them, 60.4% were married couples living together, 15.1% had a female householder with no husband present, and 19.5% were non-families. 15.4% of all households were made up of individuals and 6.4% had someone living alone who was 65 years of age or older. The average household size was 3.31 and the average family size was 3.66. In the city, the population was spread out with 36.7% under the age of 18, 7.7% from 18 to 24, 30.2% from 25 to 44, 17.7% from 45 to 64, and 7.6% who were 65 years of age or older. The median age was 29 years. For every 100 females there were 96.0 males. For every 100 females age 18 and over, there were 96.1 males. The median income for a household in the city was $40,556, and the median income for a family was $43,047. Males had a median income of $32,500 versus $23,125 for females. The per capita income for the city was $13,140. About 11.7% of families and 14.1% of the population were below the poverty line, including 16.6% of those under age 18 and 12.5% of those age 65 or over. The Fort Yamhill Blockhouse is located in the NW corner of Courthouse Square Park and was orginally moved from Grand Ronde Valley in 1911 to honor Joel Palmer founder of Dayton and Superintendant of Indian Affairs. Sometimes known as the Dayton City Park,Courthouse Square Park is the home of several historical items, including the Fort Yamhill Blockhouse, Bandstand and Fountain, a World War II Cannon and a replica of the old Fire Bell. The Brookside Cemetery is located on Third Street just off Mill Street in Dayton, it is the resting ground of many Dayton Pioneers including Joel Palmer, founder of Dayton. Information regarding the Settlers of Dayton’s History was taken from the Dayton Centennial 1880-1980 Booklet. Copies of the Dayton Centennial can be purchased at Dayton City Hall. The Yamhill River and the Dayton Town area have a history with flooding. The Yamhill River is an important part of Dayton’s history, providing transportation for Dayton’s residents and the transportation of freight for local farmers and businesses. A listing of those buried in the International Order of the Odd Fellows Cemetery, located on Thompson Lane just outside of Dayton off highway 221. Information was taken from the “Dayton Centennial 1880 – 1980”.